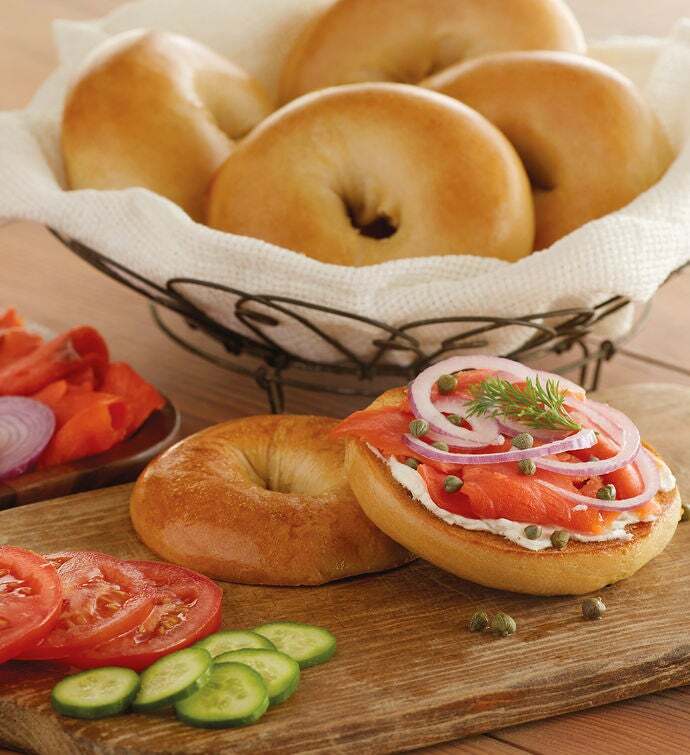 Bagels aren't just for breakfast anymore since these East Coast delights arrived on the scene. Our Davidovich Bakery Plain Bagels are perfectly crafted and hand-rolled, then kettle-boiled and baked in the oven on wooden planks. Every painstaking production step is important in making these gourmet bagels glossy and firm on the outside, yet soft and chewy on the inside. Made in New York City, our plain bagels are delicious on their own, but they also make a great canvas for any sweet or savory addition you're craving. Kosher.